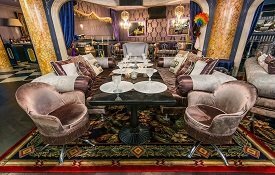 Singing your favourite song, dancing in time with the music, having a drink, trying a new dish and spending the night in an extremely outgoing atmosphere – this is what karaoke clubs in Minsk are offering their guests. 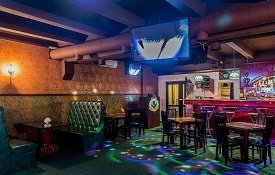 Karaoke places are for those who like loud music, joy, laugh and friendly environment. 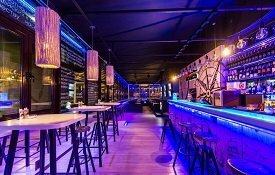 Karaoke in Minsk in mainly located in the city centre just like many other night clubs, bars, pubs, cafes and restaurants. The staff here is always hospitable, pleasant and helpful — they can even sing and dance being captured by the music while serving you a glass of refined wine or exquisite specialty from the barman. Song selection is more than solid, sound and singing equipment is adjusted personally to the pitch of the performer. An air of cordiality and unity captures the visitor from the very first step. The songs are performed by any representative of the table one by one and you’ll hardly notice it as your turn is back again. Even the best karaoke places in Minsk are not places to show off in brag clothes and expensive accessory, people from every walk of life just come to karaoke to be embraced by the uniting magic of music and the pleasant feeling from sharing a song. Emotions are so bright that they are filling with joy even the most ‘I-am-not-in-the-mood-today’ grumblers. 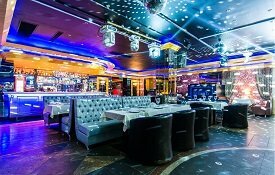 Spending time in karaoke in Minsk will not give just a general overview of music and singing culture of Belarussians but will also give you a chance to dive into warm-heartedness shared by the staff and sitting at the next table guests. You can choose to sing whatever you like and in the language you are keen on performing and without any doubt you’ll be greeted by the cheering crowd who is joining into the song splashing out smiles and positive emotions. Opting for taking up a karaoke challenge that are rather frequent among the guests you can end up with a little Grammy statute in your hands. 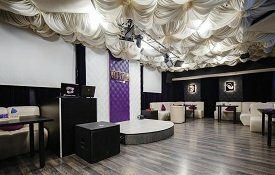 Some karaoke clubs in Minsk want their guests to experience true to life emotions of performing live on stage and accompany their guests’ singing with a live show-band so that everyone can feel themselves in a soloist’s shoes.